A new driveway or patio from Newcastle Drives & Landscapes will transform your garden in style.Newcastle Drives & Landscapes installs driveways in Newcastle, patios, pathways, steps, garden walls and fences using only the very best quality products. We can also design and provide you a free visualisation of how your garden will look before you decide to go ahead.Whether you’re aiming to develop space for more car parking or a space for summer bbqs, your garden will look fantastic and be more useful when we’ve finished. Tarmac driveways in Newcastle are an excellent upgrade option for many homeowners, especially when installed by Newcastle Drives & Landscapes. There are a number of benefits in opting for a tarmac driveway over the alternatives. For one, tarmac driveways are very easy to install and, in most instances, can be laid directly onto other services immediately. It’s also very quick to lay, yet lasts for a very long time due to its exceptionally durable nature. Maintenance is simple, mainly because it is an impermeable, weather-resistant surface and, in the unlikely event of a repair, work can be carried out in a quick and hassle-free manner. Our concrete driveways paths and patios are long-lasting, one of a kind and almost maintenance free. With lots of diverse designs and colour options to choose from, you can create a driveway that’s truly original to you with pattern imprinted concrete, resulting in an extremely inventive facelift to your home or business. Decorative Concrete isn’t only ideal for outside, it is also great for internal flooring, giving you a cool floor in summer time and with under floor heating a very warm winter! For more information or to arrange a free quotation for a concrete driveways in your Newcastle home contact Newcastle Drives & Landscapes today. With a variety of colour schemes and sizes, block paving in Newcastle is often considered to be one of the most attractive and adaptable forms of surfacing a driveway. The blocks are not cut from natural stone, but fabricated precisely to meet your needs, which means that it’s not only a less environmentally damaging way to surface a garden, it is easily tailorable to any design, pattern or plan. Block paving is also among the most cost effective kinds of paving that you can purchase, as the materials and installation style are quite straightforward, meaning you’ll have a stylish and efficient driveway installed at a sensible price. This is especially the case if you look at the longevity of block-paved features, as block paving is an extremely strong construction that can last for quite a long period of time. As specialists in Patio and Driveways and Paving in Newcastle, we offer an exceptional, high-quality installation service that is second to none. 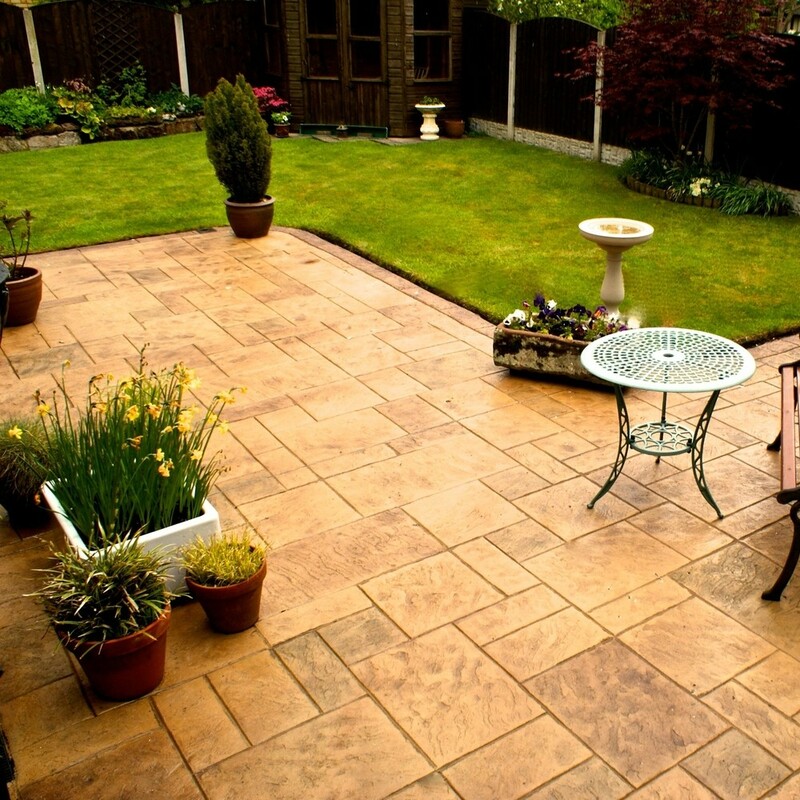 Our patio fitters pride themselves on the level of care and service they give when undertaking any patio project. We ensure all our work is guaranteed, and the patio finish will be of the highest quality that you will admire for years to come.
. We install Newcastle patios using the highest standard products and our finish is second to none, whether your looking for block paving, flagging, crazy paving or anything in-between you can count on our team for a superb finish. Newcastle Drives & Landscapes has completed an impressive range of resin bound and bonded surfaces applications in and around the Newcastle area including domestic driveways, paths, patios, courtyards, landscaping schemes and pedestrian walkways. Resin drives are hard wearing with virtually no maintenance and typically life spans will depend on usage and choices of aggregate and can range from 8-15 years. A resin bound or bonded driveway can be installed directly over an existing surface including old concrete or tarmac without the need for excavation, producing a speedy and cost effective driveway installation to enhance your Newcastle based property.